London based Building and Refurbishment specialist with head offices located in London. Our building team delivers building solutions to both the private and public sectors, to organizations such as local authorities, public companies and utilities and to high net worth individuals. We are able to undertake major residential works including major refurbishments, the addition of new floors, loft conversions, single or double storey extensions, conversions of buildings to new self contained apartments. 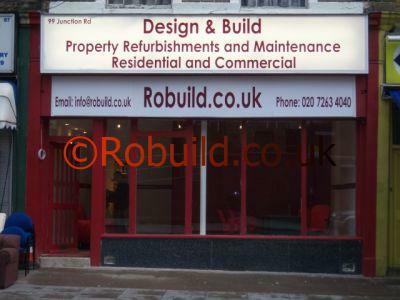 Plumbers, roofers, builders, electricians, carpenters, painters and decorators. London, inside the M25 area, we cover UK if the job is big enough for us. Based on size of jobs, contact us for more information.